Criminals are evolving meaner and more devious than ever before. Therefore, protecting the safety of your surroundings should be a priority. Designed to be operated by adults only for self-defense purposes. Black nonglare coated steel shaft. Rubber handle with diamond grip. Includes nylon pouch. 21" overall. This is a grade A+ product!!! 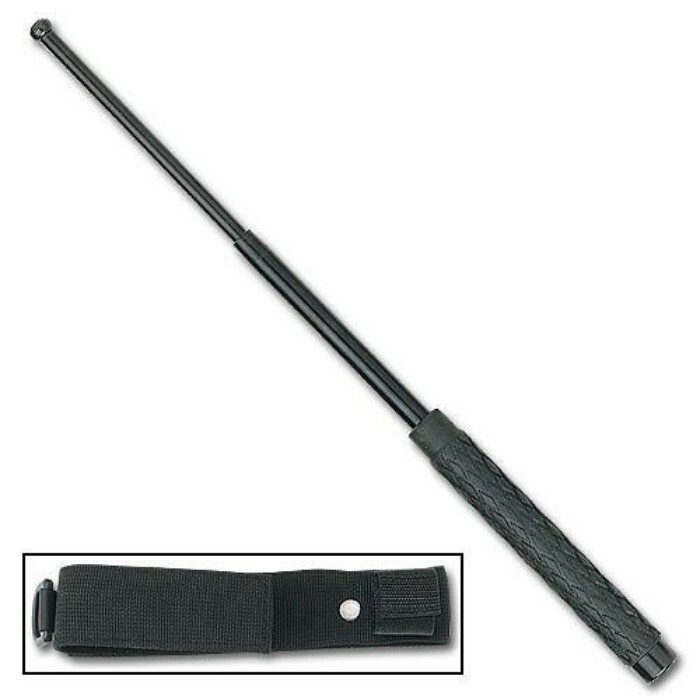 It's built sturdy, and the rubber, diamond ridged hilt offers excellent ergonomic benefits. 5 STARS ALL DAY!!! For the price this baton is excellent. The main complaint I've seen from anyone else who ordered it is that it's hard to close. This isn't the case. All it takes is a flick of the wrist (it's all in the wrist) against a surface, or even against your own palm, to close it. This baton is really nice. It has some good weight to it, enough weight to ruin somebodies day if they try and ruin mine. I like the rubber on the handle, it keeps it from slipping. Overall a great buy. Thanks Trueswords! Great product already had to crack someone in the elbow at my job. holds up very well like the rubber grips better then the foam gripped ones. Great item, received mine today & i'm very happy with the buy. Used it on a coke can just for fun & this thing crushed it like wax. You can admire the strength & power of this thing in your hand. I will order the 26" soon, to keep in my car. Exactly what was promised. A little trouble closing it, but durable, quick, light but strong. The baton locks in place with a quick swing and 21" seems to be a controllable length and weight. 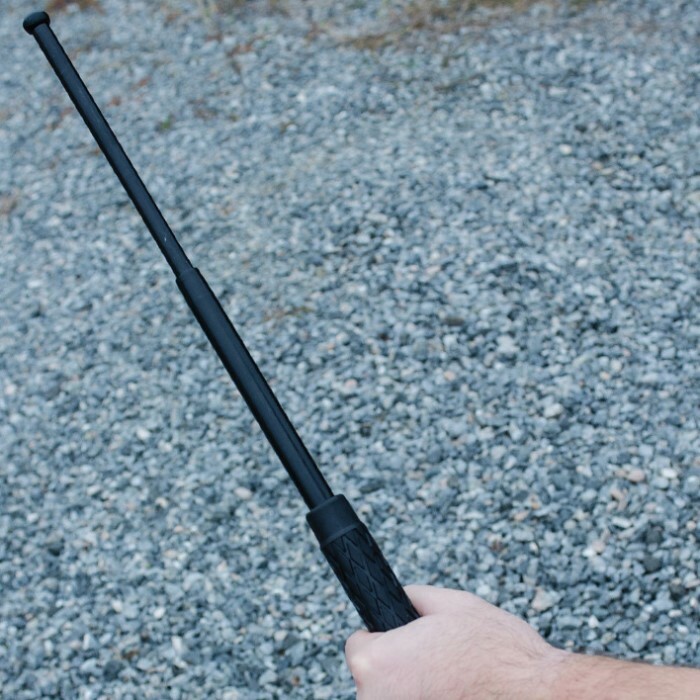 The extended steel shaft should be effective in most cases depending on how well the owner applies it, and it would be difficult for the aggressor to grab the shaft and pull the baton away because of the slick finish. The fact that the shaft doesn't collapse easily is a plus.